Portugal’s staple foods are our favorite snack at home or abroad — cheese, bread, charcuterie, and wine. 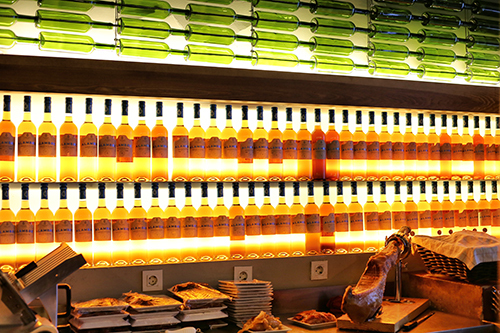 Instead of a true dinner, one night in Lisbon we indulge in only these wonders. From two different wine bars, one in Belem and one in Lisbon, we eat and drink and snack until we’re a little too full and very satisfied. The cheeses come in all shapes and sizes. There’s the swimming pool of creaminess, a.k.a. Queijo da Serra da Estrela; the pool cover is removed from the top of the cheese and replaced with a spoon to lather the nearest piece of bread. There are harder cheese wedges, softer squares, and a pumpkin marmalade to garnish. The cheese plate at the second bar was too big to even finish. Then there are the wines and the ports. At 2 to 5 euros a glass, they are cheaper than most beer back home. We start with whites such as Rabigato and Bical. 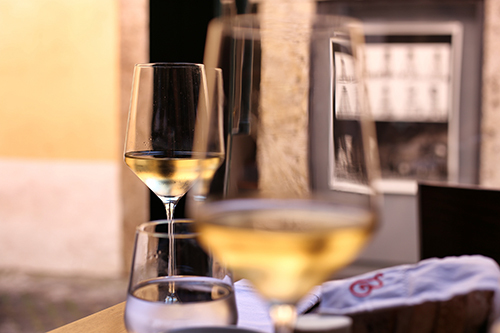 Move on to some of Portugal’s famous reds like Touriga Nacional, Baga, and Castelao. And finally make our way to the ports — white ones, ruby ones, tawny ones, vintage ones. We learn about the port making process, with its fortification, aging, and history. And after sufficient tasting, we learn that we love the white tawny as an aperitif, an aged tawny as a digestif, and that in-between those times, anything goes.